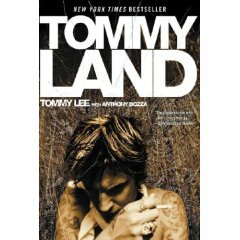 First off, let me tell you that in my opinion, Tommy Lee IS the Crue. I saw them in 1999 in Vancouver with the late Randy Castillo on drums, formerly of Ozzy's band, and there was something missing (and I'm not talking about the acres of empty seats despite the co-headlining Scorpions being on the bill), especially compared to when I saw them in 1990 at the Skydome on the "Dr. Feelgood" tour on the last day of grade 10. In 2002, I devoured "The Dirt" and shortly thereafter received the "Lewd, Crued and Tattooed" DVD as a gift, the one that featured Samantha Maloney of Hole on drums in T. Lee's place. With all his faults, "The Dirt" just showed the sheer likability of the guy as well as fact that it's just not the Crue live without him was reinforced through the DVD, and their triumphant 2005 reunion tour which I saw in Montreal at the Bell Centre with Lee firmly in place on the skins just confirmed it: if there's one guy who exemplifies the spirit of heavy metal in that band, it's him, so naturally, I loved this full-length, full-on, pedal to the floor memoir of the life and times of Tommy Lee, heavy metal madman extraordinaire.